Home book issue kaden movie news race racism The Hunger Games video Rue in 'The Hunger Games' has "Dark Skin"...GASP!! Rue in 'The Hunger Games' has "Dark Skin"...GASP!! This post title should be accompanied by the words, 'BREAKING NEWS'. Then again, there's nothing breaking about this news. Unless you're one of the idiotic people who ventured to theaters last week to see the popular book series, 'The Hunger Games', and missed the part where Rue's character is described as having 'dark skin', this entire topic is a big yawn. After reading a post on Jezebel about the reaction to Rue's character being cast as a black girl, I was left with my mouth opened and eyes stretched. You mean to tell me that people downright did not want to go see the movie after getting wind of this element. How dare she be a person of color? It kind of reminds me of Kevin Costner's remarks about fighting for Whitney Houston to play Rachel Marron in the movie, 'The Bodyguard'. Skeptics didn't think the role should be or could be played by a woman of color. But as we know, it made no difference. Thank goodness. I am too. through. with this week...this month. It has been a whirlwind of emotions surrounding all of these racial issues. And I don't think it's going to get any better. I thought I was being too sensitive. Let me first say that I have not read the book. My son, who is ten years old, is currently reading it. I had mixed emotions about letting him do so. But I figured the violence in this book was the same, if not more than, current world issues. Even the animated movies he watches have some level of questionable scenes. 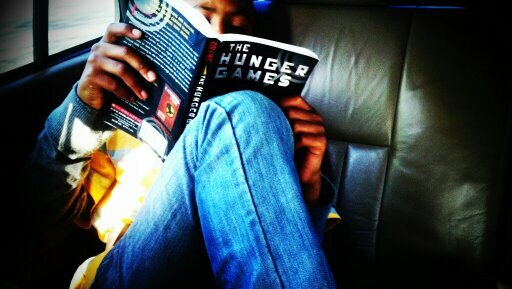 Reading 'The Hunger Games' at such a young age is not an issue for us. 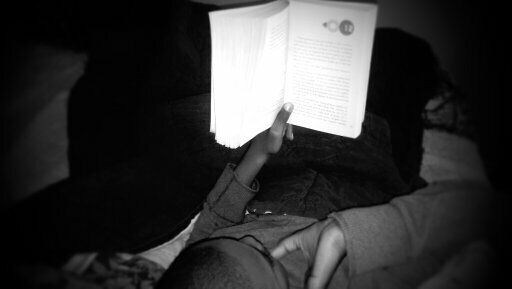 I can't tear him away from this book. I'm not saying we all have to hold hands and sing our greatest rendition of "Kumbaya". I just want everyone to show empathy. There is a way to have healthy dialogue about race issues. But some people are just oozing hatred. I'd HATE to have their heart...or eyesight. Apparently, they read over the whole 'dark skin' part.